Electric range drip pans are available in a variety of materials and finishes. 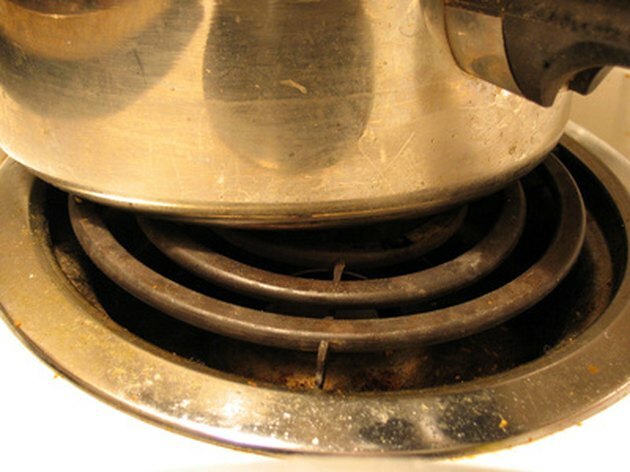 Drip pans that are the wrong size or shape and do not seat correctly can cause the stove's burner to not sit level. Many aftermarket drip pans are manufactured in sizes that fit will fit almost any electric range. 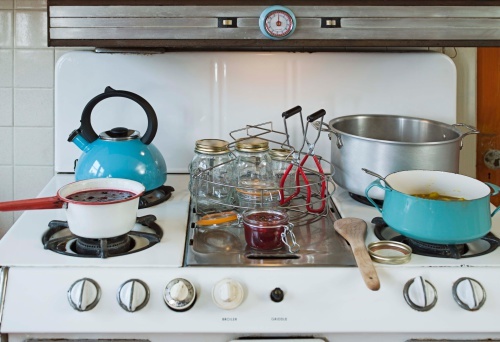 With a little research you can find the right size drip pans for your electric range. Drip pans should be removed and cleaned regularly to avoid a fire. Consult the owner's manual for information on drip pan sizes or suggestions. Some owner's manuals contain parts catalogs where drip pans made specifically for the range can be ordered. Write down the name of the manufacturer and the model name or number of the electric range. Examine the burners on the electric stove to determine if they can be pulled out or are permanently attached and hinged. Drip pans for removable burners have a hole in the side and a complete rim and those for hinged burners have a small round section cut out of the rim. Add "detachable" or "hinged" to the note paper. Measure the diameter or length and width of the existing drip pans or the openings where the new pans will go. Make a note of how many drip pans you need. Visit an appliance retailer or shop online to find the drip pans that will fit the stove and complement the decor of the kitchen. Stainless steel drip pans are popular choices but porcelain enamel finishes are available in a variety of colors. See the link in Resources to research some drip pan options. Consult with a salesperson or use the website to contact an employee if you are still unsure that you have found the right drip pans for your electric range.